The beautifully located, enormous restaurant room at Edgewater’s Lakehouse had been empty and unloved for so long that we’d pretty much lost interest in checking up on the place to see if there’d been any activity. But then, after a hamburger meal further up the hill, I recently swung by once more – and got quite a surprise. Wow – the place looked like it was all set up and ready to roll. After parking, in I went – with more surprises awaiting. The place looks a million bucks! But it was deserted at a Sunday lunch hour, save for a couple of nattily-dressed waiters. 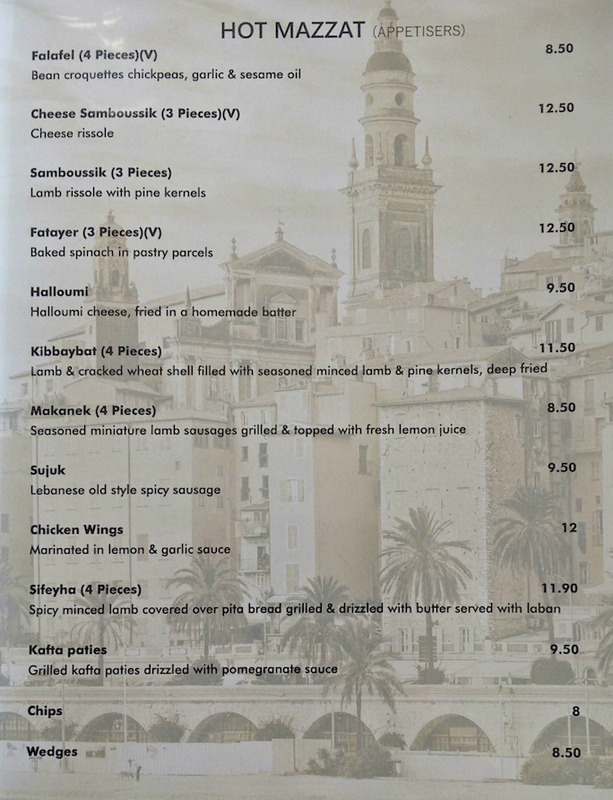 A greater surprise came upon perusal of the menu (see below). 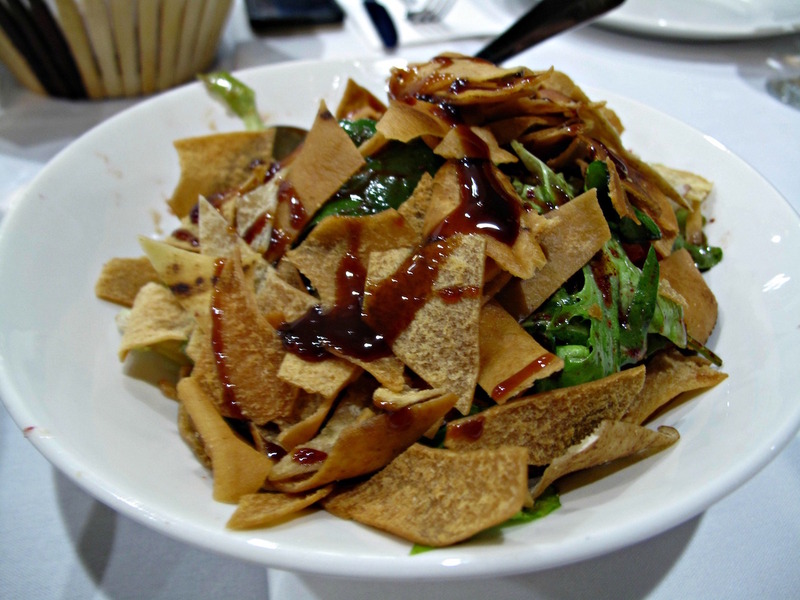 For Riviera is serving traditional Lebanese food – and not just your dips and kebabs, either, but rather the entire restaurant routine. Still, I found it easy to restrain my excitement. I mean, how good could it be? 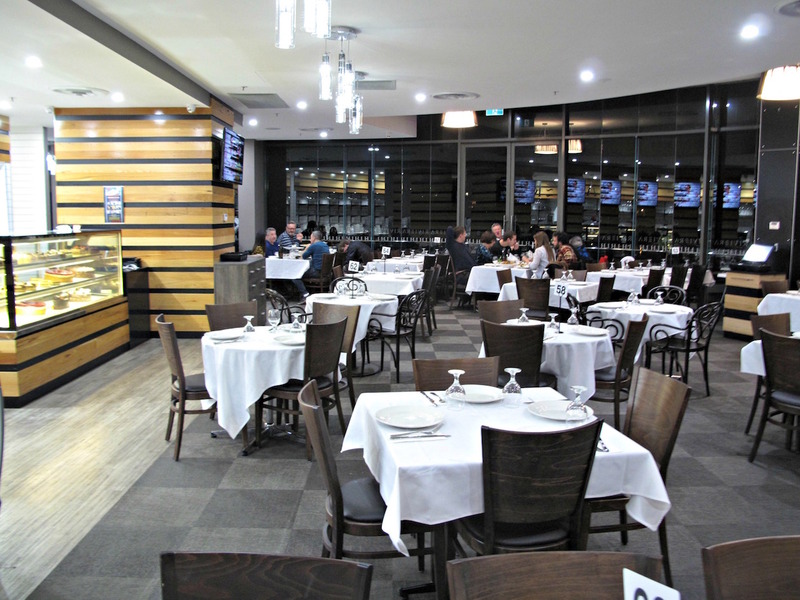 Full-on Lebanese food in a space that has often seemed like a combo of white elephant and black hole in the western suburbs food scene? Best, thought I, to return that night by myself to check the food out first-hand before I started getting a group CTS hardliners together for a visit. So return I did – and got the biggest surprise of all! Early on a Sunday evening, Riviera was about half full – and in a room this big, that’s a handy number of people. There were kids everywhere and going in all directions. Also in evidence were a heap of hijabs, and there were even hookahs going at some tables. 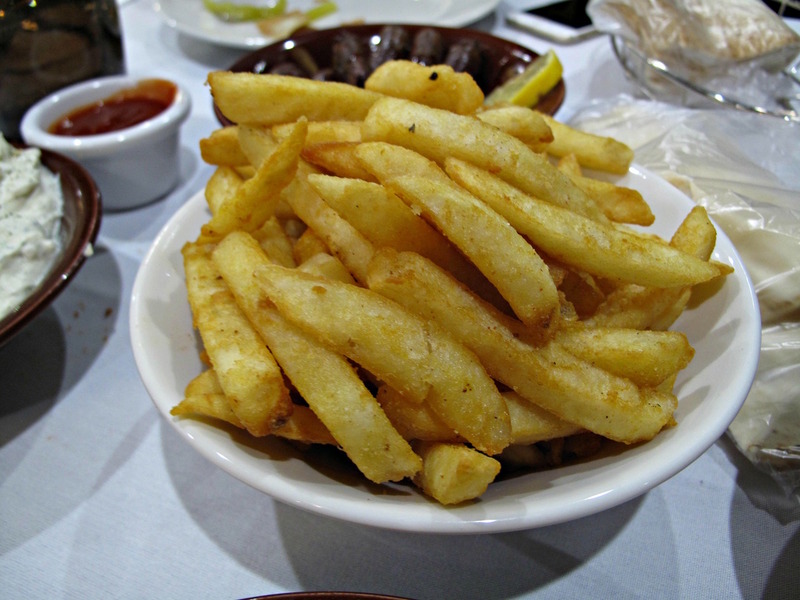 So while Riviera, which has been going several months, may have – until now – flown under the radar of western suburbs food nuts, it seems the word is well and truly out among Melbourne’s Lebanese community. And I took that as the best evidence possible – short of eating the food myself – that what is being served here is most excellent. So it proved to be – my meal was very, very good within the limits of what a single soul can tackle. On returning home, I hastily organised a CTS get-together and was happy that a bunch of enthusiasts were up for joining Bennie and I the following Sunday. So thanks to Chris, Catherine, Nat, Justin and Will for doing CTS duty! This time around, we find the room rather sparsely populated – there’s a nifty video on the Riviera Facebook page of the place rocking a pretty much full house. But the welcome and service are fine. Even better, the food arrives with such speed that it may have startled us had we all not been in such a lather of happy anticipation to try it all. For simplicity’s sake, we quickly come to a collective decision to go with banquet option No.1 at a cost of $35 a head for the six adults in our group. It turns out to be a most memorable Lebanese feast. It is all good, very good or outstanding. 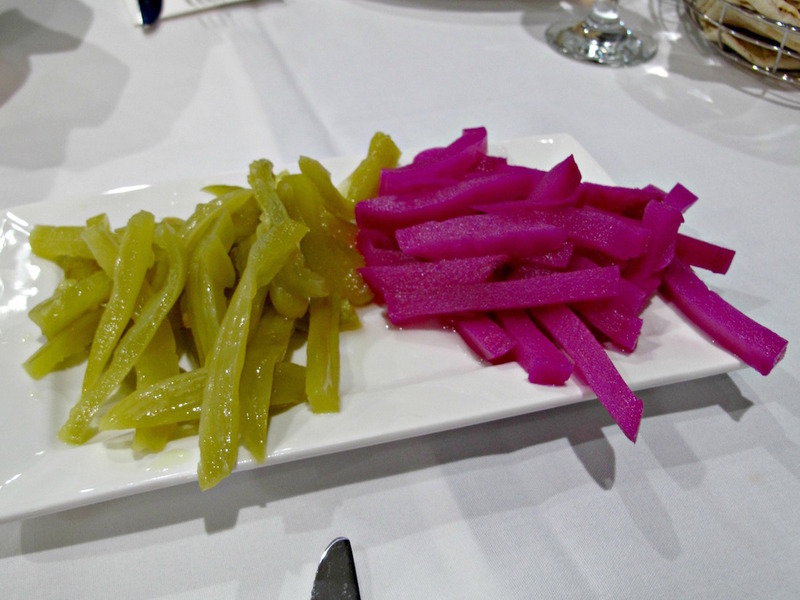 Also wonderfully crisp – the commercial but delightful pickled cucumbers and turshi. 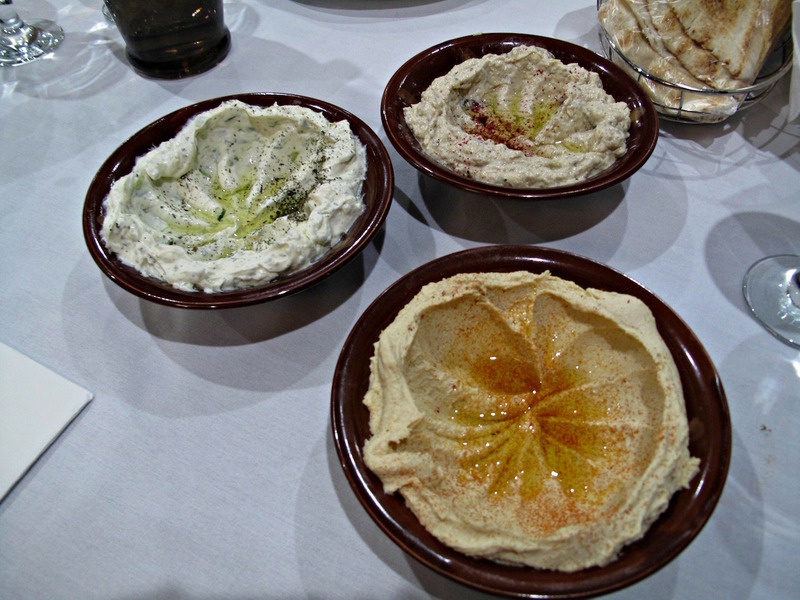 Excellent dips – hummus, labneh, baba ghannouj. 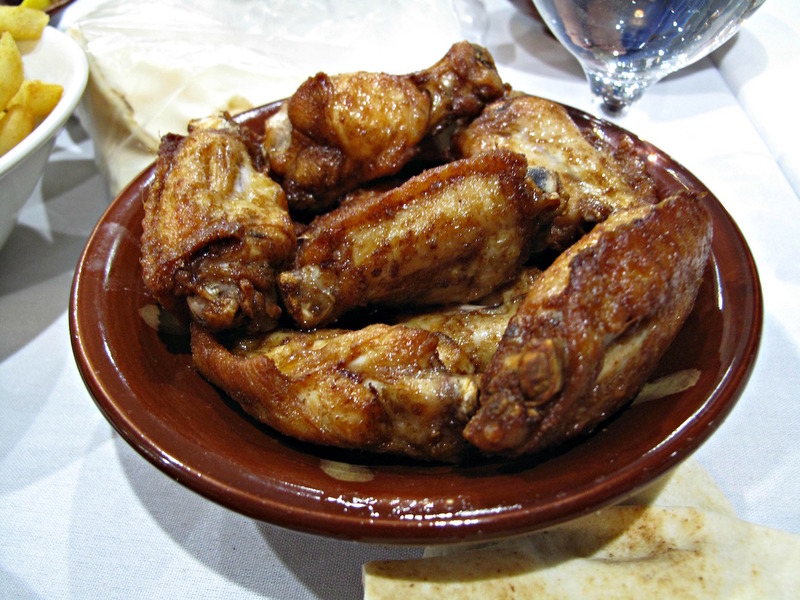 Glorious chicken wings – perhaps THE hit of the night. 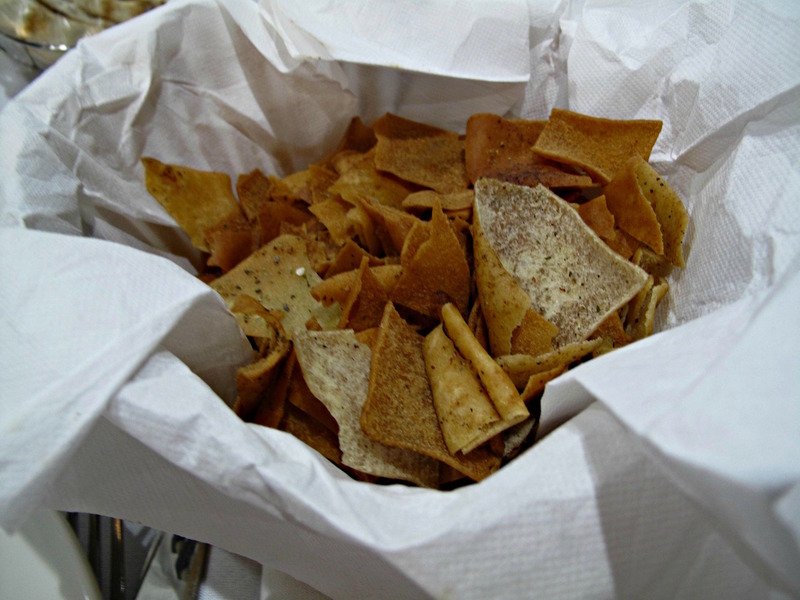 Chips – perfectly acceptable, but a little shy of the perfection I expect in such a setting. 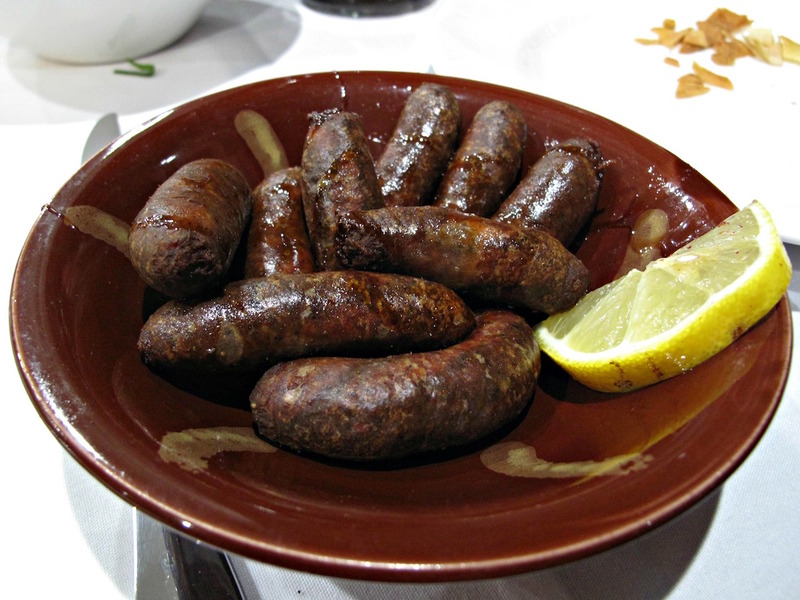 Makanek – Lebanese-style lamb sausages. Others enjoy these more than I – for me they’re a little too sweet and rich. And with their dark red colouring, they remind me – somewhat bizarrely – of black pudding! 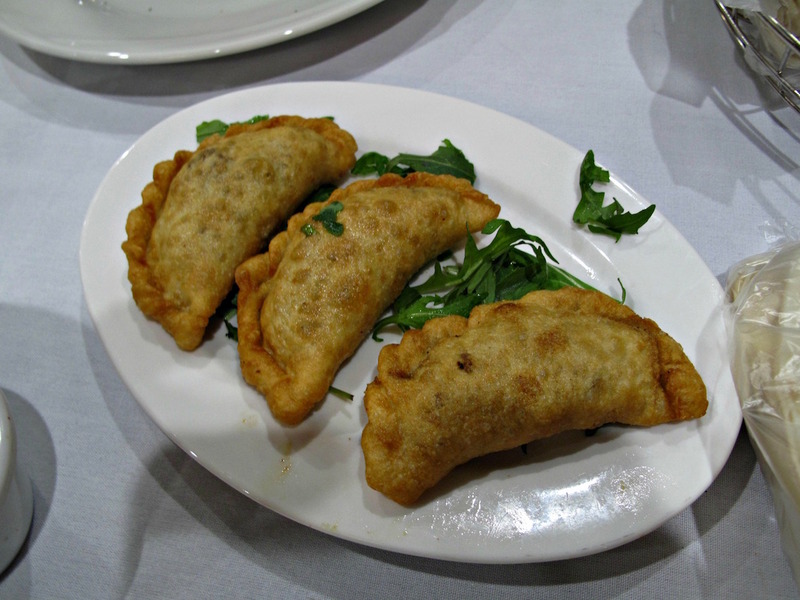 Kibbaybat – deep-fried pastries with a filling of lamb and pine kernels. These, too, are sweetish – and also juicy and very good. 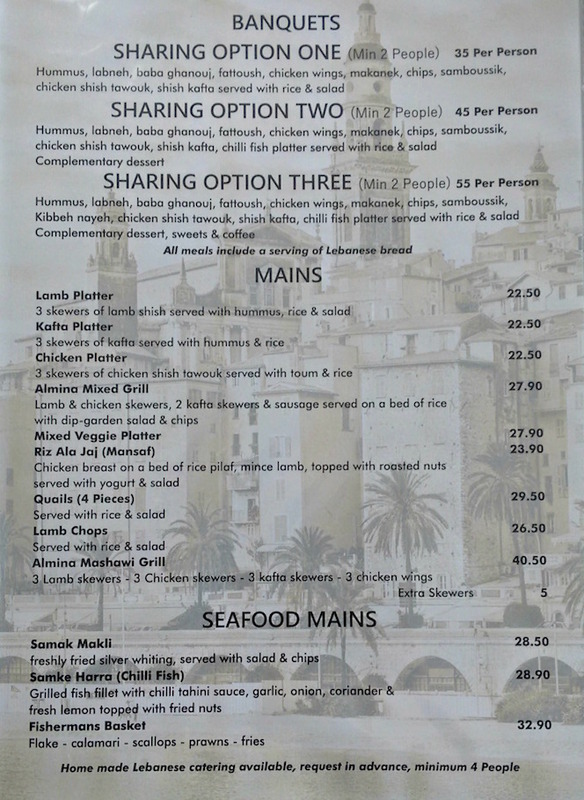 Excellent meat on sticks – shish tawouk and shish kafta as advertised on the menu, and shish kebab as a surprise. A single, big serve of this simple dish of lamb chops on rice is an unannounced addition to our banquet line-up – and is the same dish I tried on my solo exploration the previous weekend. At first, I suspect this is going to be largely ignored by our lot in favour of the more glam kebab meats at our table. But, no, in the end we all give this more humble dish a pretty good crack as well. 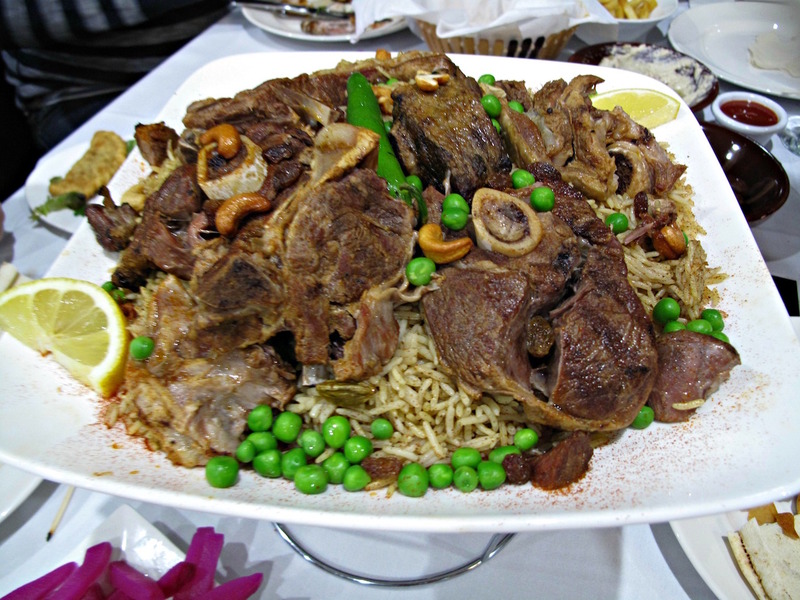 With its fragrant rice studded with currants, peas, cashews and more serving as a bed for beautifully cooked meat, this reminds me very much of the sort of Somalian meat ‘n’ rice dishes found at places such as this. But I suspect variations on this theme can be found right across North Africa and the Middle East. 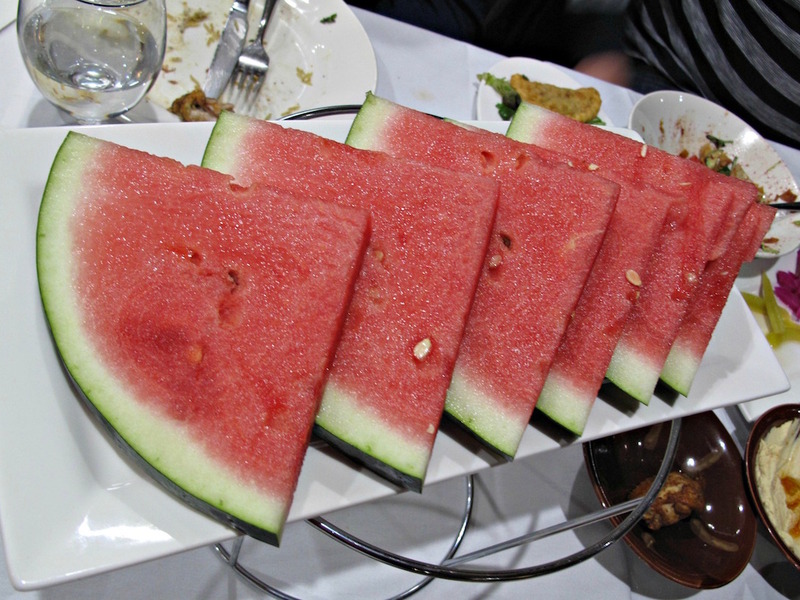 Finally, our fabulous meal winds down with super slices of chilled watermelon. That Riviera is serving top-notch Lebanese food – at Edgewater’s Lakehouse, of all places – fills me with profound happiness. There is nothing cutting-edge, hipster or fusionesque about the fare here – and nor would I want there to be. We all vow to return – and soonish. It’s an interesting indication of how a place like Riviera can exist and prosper on its own terms and within its own community, yet fly entirely under the radar in the wider world – it has no Zomato listing! Agree with all of that… it was delicious! 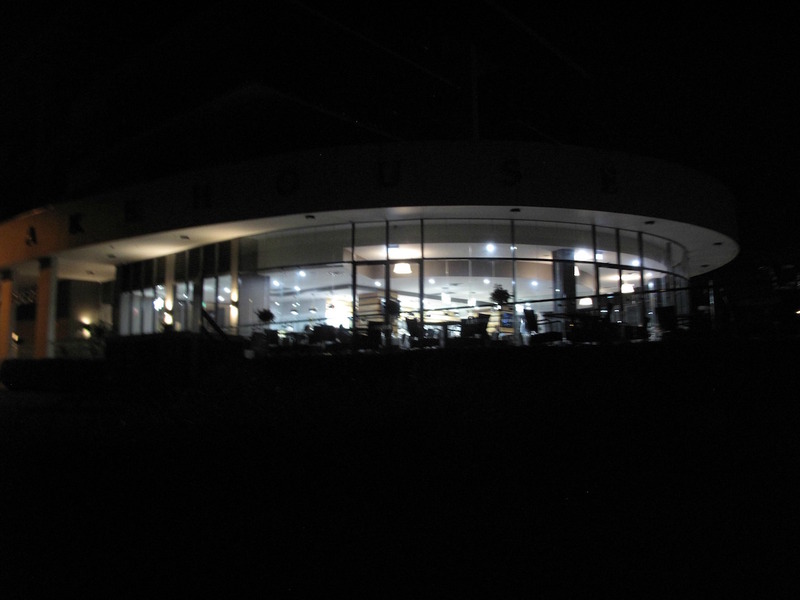 Apparently this place is BYO – did you see anybody consuming alcohol? I ask because their facebook page has a prominent reference to the recent festival “the conclusion of Ramadan a Eid Mubarak”. I know from past experience many of these types of places are very relaxed about consumption of alcohol while others are strict. Hi Pablo! On my two visits, I presumed – perhaps wrongly – that, given the pronounced Muslim vibe, it was a no-alcohol venue. I’m pretty sure it’s unlicensed. However, like yourself I have seen some social media stuff that seems to indicate they may be BYO on occasion. I will ask next time we are there – and that won’t be too long! Well im definitely going. 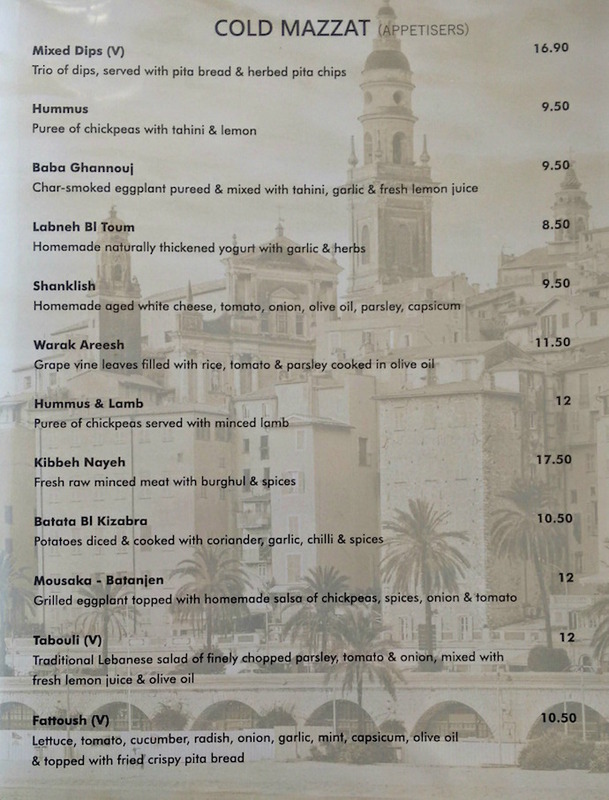 Its slightly closer to me than Abla’s and the menu looks just as interesting. Weird Location tho’!? So it may seem – but it appears to be working a treat! Lived just two streets away for 10 years, until last September…..and now there is a great restaurant around the corner…..Agghhhh. 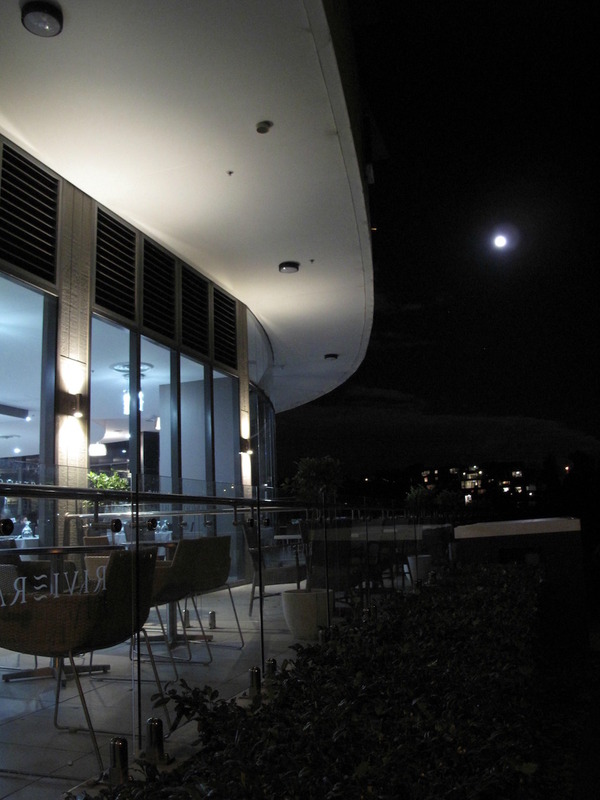 Might pop in one evening when I visit from the Sunshine Coast next time.